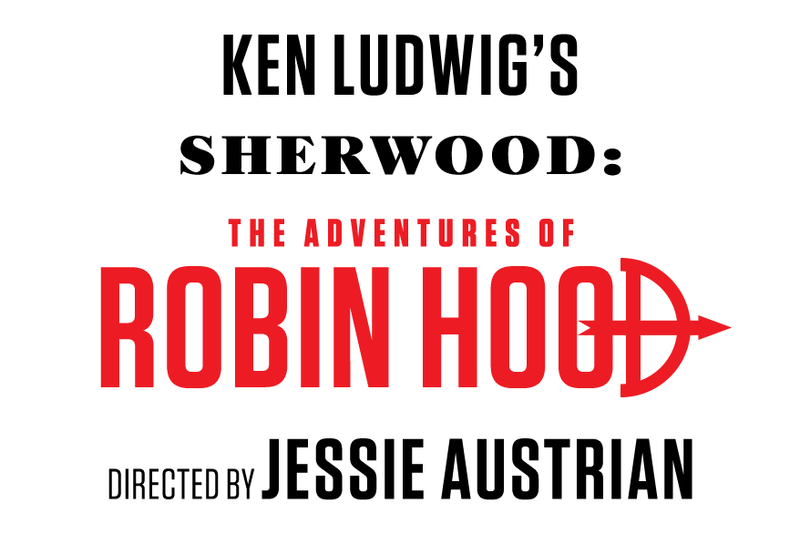 What: Ken Ludwig’s Sherwood: The Adventures of Robin Hood. Directed by Jessie Austrian. Original music by Jack Herrick. 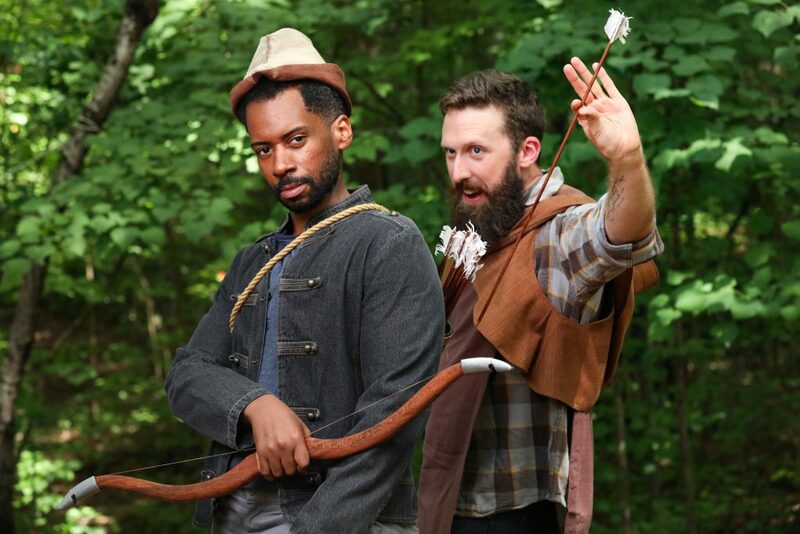 When: September 12 to 30; Opening Night & Press Opening Saturday, September 15, 7:30 p.m.
(Chapel Hill, NC, August 27, 2018) PlayMakers Repertory Company proudly opens its 2018/19 Mainstage season with Ken Ludwig’s Sherwood: The Adventures of Robin Hood a play with music directed by Jessie Austrian and featuring original music by Jack Herrick, of North Carolina’s Red Clay Ramblers. The production runs from September 12 to 30, 2018. The tale of Robin Hood is one almost everyone knows. Robin Hood is a nobleman who leaves behind his life of privilege to stand up for those in our society who cannot. He is joined by a band of merry men and Maid Marian as he robs from the rich to give to the poor. But how well do we really know this legendary folk hero and what moves him? The legend of Robin Hood is the original story of resistance, and one man’s awakening to the injustices of his society. However, he’s not a perfect man, and in Ken Ludwig’s retelling, he’s perfectly imperfect and surrounded by a cast of characters, notably Marian, who help challenge and shape his ideals. 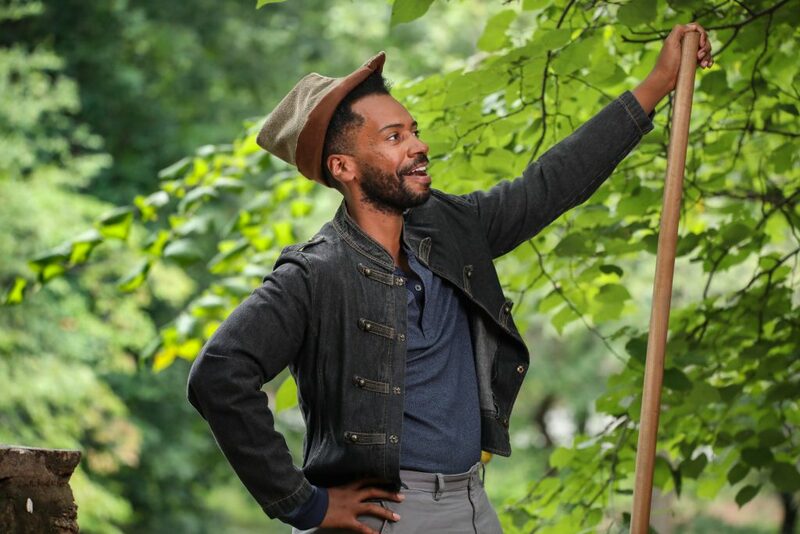 Sherwood: The Adventures of Robin Hood features Joshua David Robinson as Robin Hood (Three Sisters; Twelfth Night, Off-Broadway), Jeffrey Blair Cornell as Sir Guy (Count, My Fair Lady), Ray Dooley as Prince John (Leaving Eden, Tartuffe, Twelfth Night), April Mae Davis as Doerwynn (Sense and Sensibility; In the Red and Brown Water at National Black Theatre Festival), Rishan Dhamija as Little John (Leaving Eden, Dot), Christine Mirzayan as Maid Marian (The Christians, The Cake), Tristan Parks as Sheriff of Nottingham (My Fair Lady, The Crucible), and Dan Toot as Friar Tuck (Sense and Sensibility, PlayMakers Mobile’s A Midsummer Night’s Dream). The Creative Team of Sherwood: The Adventures of Robin Hood includes: Jessie Austrian (Director; Co-Artistic Director and Founder of NYC’s Fiasco Theater), Kara Wooten (Fight Director; Cyrano de Bergerac; Hamlet, National Ballet of Canada), Jack Herrick (Composer, Music Director; Big River, Twelfth Night; Broadway’s Fool Moon), McKay Coble (Scenic Designer; My Fair Lady, The Tempest/Metamorphoses), Tracey Christensen (Costume Designer; Three Sisters and Broadway’s 2017 Sunset Boulevard revival), Rui Rita (Lighting Designer; PlayMakers debut, Broadway’s Enchanted April), Melanie Chen Cole (Sound Designer; PlayMakers Debut, Imaginary Invalid at The Old Globe), Jenny Latimer (Assistant Director; The Cake, Twelfth Night), Ryan Tucker (Assistant Fight Coordinator), Greg Kable (Dramaturg), Charles K. Bayang (Stage Manager) and Elizabeth Ray (Assistant Stage Manager). 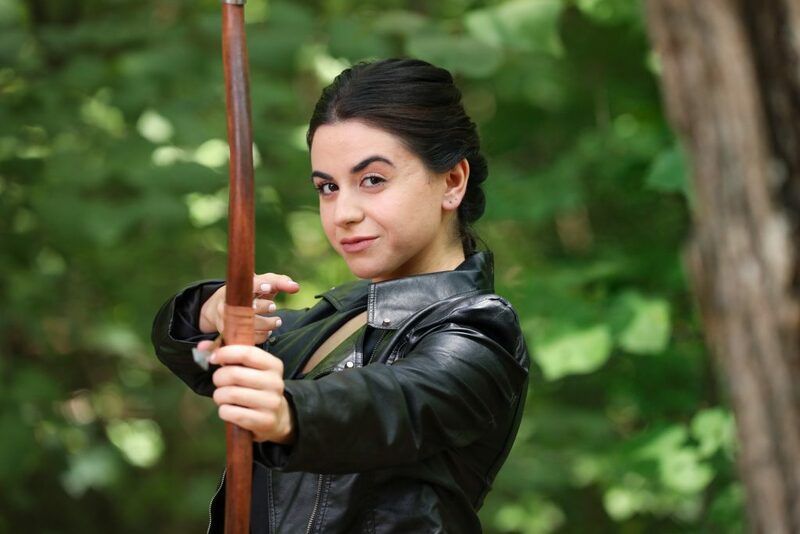 Sherwood: The Adventures of Robin Hood is appropriate for all ages. For information and to purchase tickets, call 919.962.7529 or visit www.playmakersrep.org. Individual ticket prices start at $15. August 27, 7:00 p.m. Chapel Hill Public Library — “In the Wings,” a series of conversations in partnership with the Chapel Hill and Durham County Public LIbraries. Free and open to the public. September 13, 6:00 p.m. — “The Vision Series—Directors in Conversation,” a behind-the-scenes preview with members of the creative team before the evening’s performance, at the Joan H. Gillings Center for Dramatic Art. Free and open to the public. 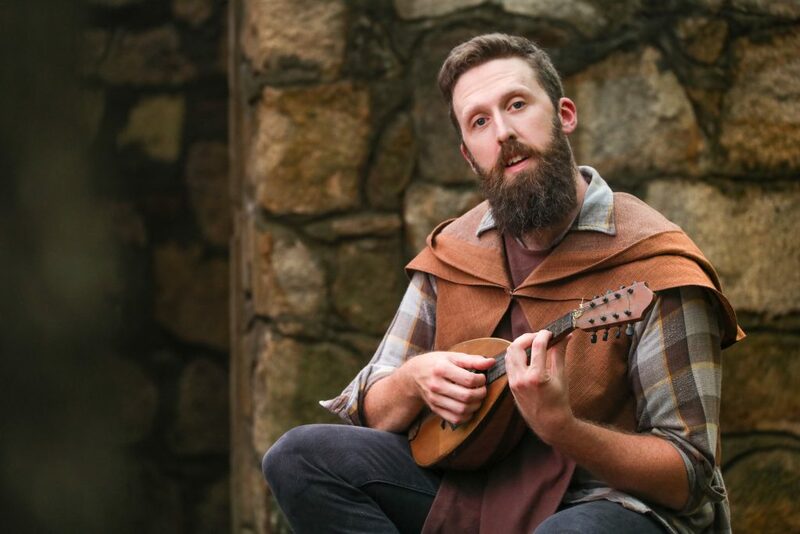 Joshua David Robinson as Robin Hood. Photo by HuthPhoto. Christine Mirzayan as Maid Marian. Photo by HuthPhoto. Dan Toot as Friar Tuck. Photo by HuthPhoto. Joshua David Robinson as Robin Hood and Dan Toot as Friar Tuck. Photo by HuthPhoto. 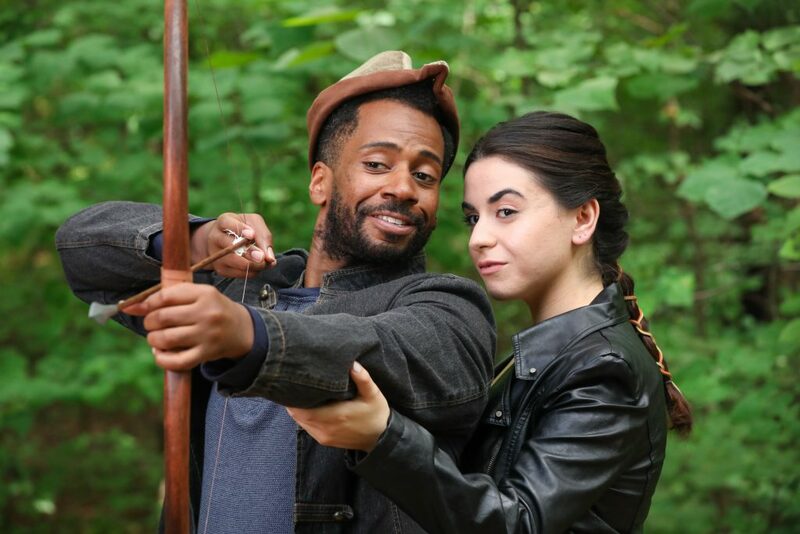 Joshua David Robinson as Robin Hood and Christine Mirzayan as Maid Marian. Photo by HuthPhoto.